Panasonic is meeting the increasing surveillance demands placed on Australian government and private organisations with the release of a range of new indoor and outdoor i-PRO® Extreme PTZ cameras – designed to support safe cities through monitoring fast changing environments from railway stations to airports and shopping malls. The versatile Full HD and HD cameras with up to 40x zoom are the latest offering in Panasonic’s next generation i-PRO® Extreme surveillance technology platform. This native end-to-end H.265 system is designed to maximise the performance and cost-effectiveness of video surveillance systems, whilst protecting against cyber security threats. The cameras use H.265 compression technology coupled with Panasonic’s Smart Coding technology to deliver the highest quality images at the lowest bitrates – reducing streaming and storage by approximately 75 per cent over the H.264 industry standard. This allows companies to store significantly more data at a lower cost and reduce bandwidth requirements. i-PRO® Extreme cameras also provide a highly secure protection layer and robust authentication to guard against hacking attacks. Ranjit Sohoni, Product Marketing Manager, Security, Panasonic Australia, said: “With the introduction of these models, Panasonic now has the most comprehensive range of H.265 cameras available in the marketplace, delivering a truly compelling offering for enterprise customers. 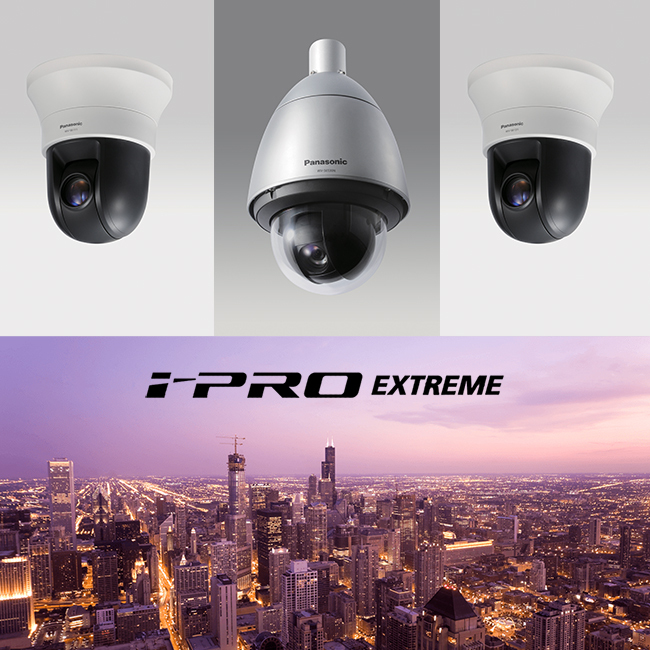 The i-PRO® Extreme platform has been rolled-out across a new line-up of Panasonic cameras, recorders and video management software (VMS) in 2017, delivering advanced enhancements in image quality, data compression and security, reliability and embedded intelligence. Captures the highest quality images even in very dynamic and challenging lighting environments. The i-PRO Extreme cameras feature Intelligent Auto control, deliver outstanding low-light performance and feature an industry-leading 144dB of Extreme Dynamic Range for balanced exposure and accurate colour in every situation. To meet rising data storage challenges, H.265 compression technology coupled with Panasonic’s Smart Coding technology delivers the highest quality images at the lowest bitrates. It begins with H.265 encoding, a 50% reduction in bandwidth compared to H.264; and Panasonic Smart Coding and Smart Facial Coding push that to a 75% reduction. New self-learning Region of Interest (ROI) encoding dynamically detects motion areas so humans and vehicles are encoded at the highest quality for clear identification. In today’s multi-device network environments, Machine 2 Machine (M2M) and iOT devices are at risk of attack. i-PRO’s Secure Communication Suite ensures powerful end-to-end IP security for i-PRO Extreme based surveillance networks, and robust authentication using Symantec Device Certificates. Panasonic is an international leader in security solutions. Offering an extensive range of network cameras, video recorders, interfaces, controllers and more, Panasonic’s security products utilise state-of-the-art technology and industry leading innovation to provide outstanding surveillance as well as provide unique marketing and analytical tools. Innovative releases include Video Insight Video Management Software – one of the first platforms to support H.265, and an enterprise-class video management security solution that supports more than 3000 camera models from 100 manufacturers and integrates with the most popular access control systems. Panasonic’s Aero-PTZ is the industry’s most rugged pan-tilt-zoom security camera, designed for mission critical applications in severe weather conditions, from rain and snow to extreme temperatures and gale-force winds.